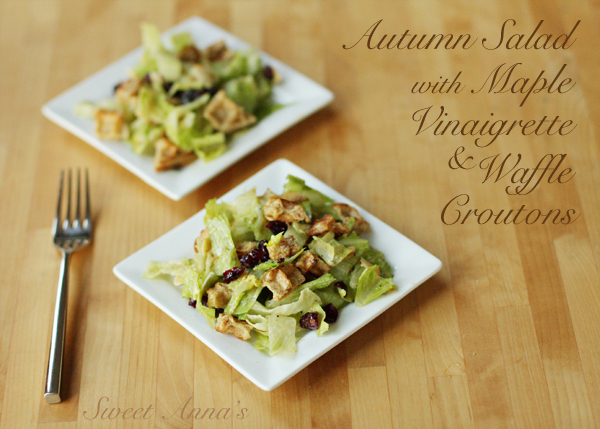 This salad is festive, screams fall, and best of all… it is easy and delicious. In a small bowl, whisk together the dressing ingredients until well blended. Taste for seasoning and add more salt if desired. Set aside. Toast the waffles, medium well, while a small skillet heats over medium heat. Take the waffles from the toaster, cut them into bite-sized pieces, and the toss them with the butter in the heated skillet. Toast until they are golden and crisp. Remove from the pan and set aside. In a large bowl, toss together the chopped lettuce, dried cranberries and toasted almonds. 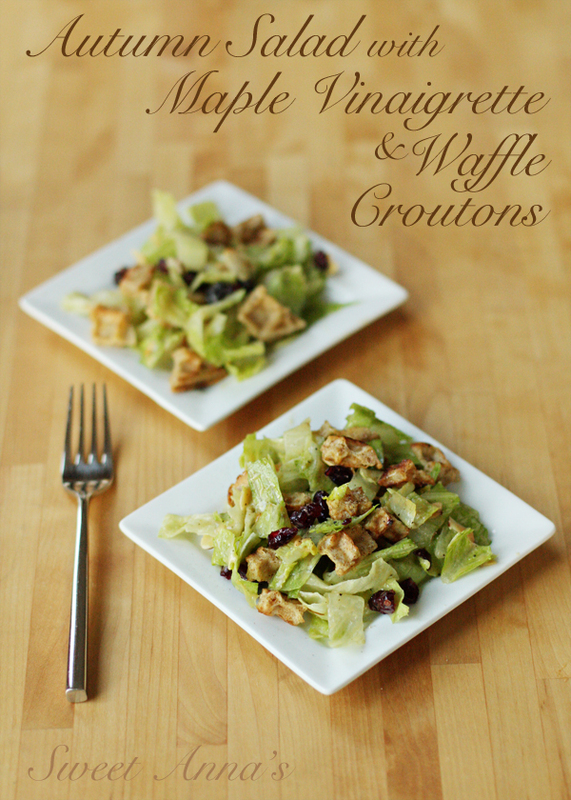 Toss in the dressing until well coated and then toss in the waffle croutons. Serve immediately! Don’t forget to go check out the “Great Waffle-Off” on Eggo’s Facebook page to submit your own waffle-creations for the chance to win some fabulous prizes!